Stormwater management in the Chesapeake Bay watershed has evolved over the course of several decades as communities have shifted to LID practices and refined their design standards. 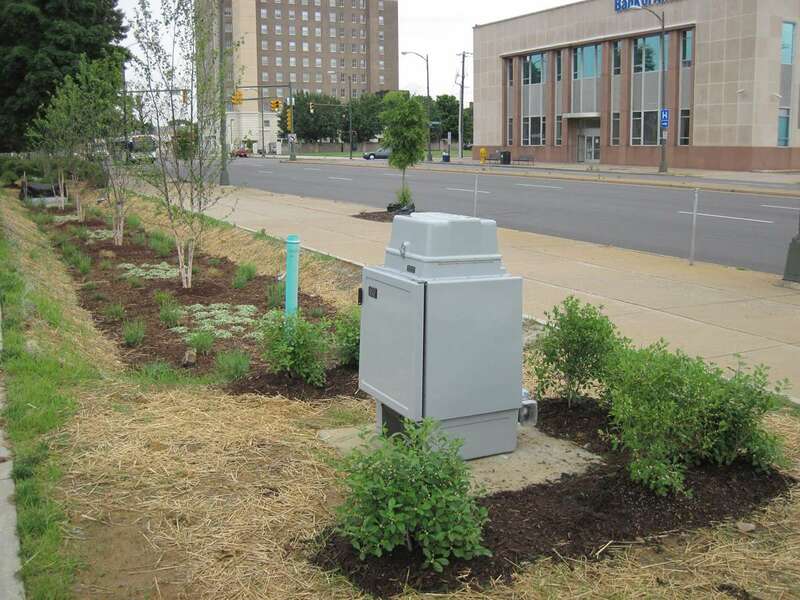 This evolution has also shed light on new techniques that can be used to boost the performance of standard stormwater management practices. A new report developed by CSN, along with the Center for Watershed Protection and Hirschman Water and Environment LLC, focuses on the capability of performance enhancing devices (PEDs) to increase nitrogen and phosphorus removal in bioretention, sand filters and other low impact development (LID) practices. Common PED strategies include adding media amendments, incorporating an internal water storage (IWS) zone in the underdrain system and maximizing plant uptake. This report summarizes the findings of an extensive literature review of these strategies and recommends options for potentially crediting PEDs by adapting existing Chesapeake Bay nutrient reduction protocols. 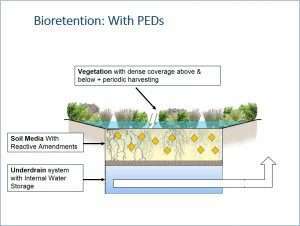 Research synthesis to provide technical support for whether additional nutrient removal credits should be offered for bioretention, sand filter and other LID practices that rely on one or more performance enhancing devices or "PEDs".